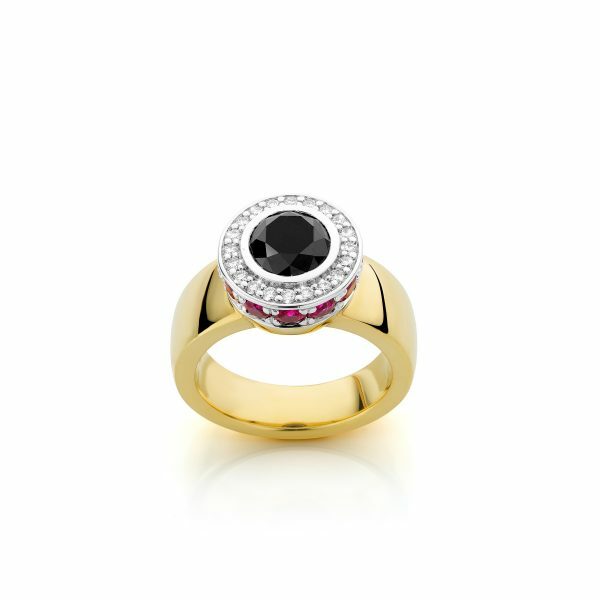 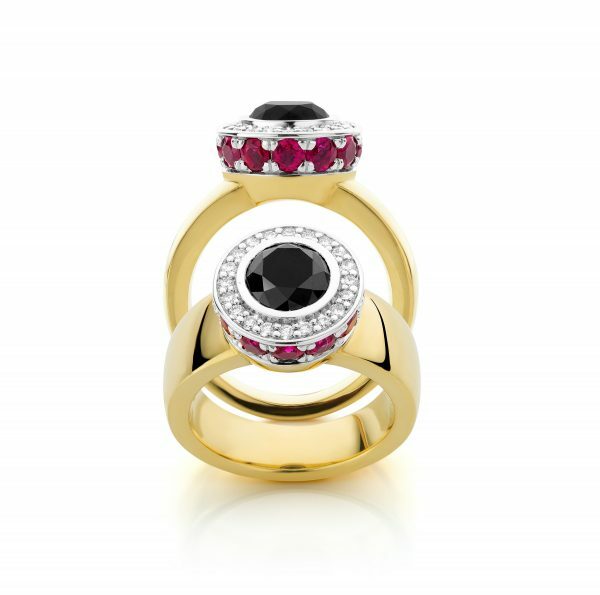 18 karat yellow gold ring with a brilliant cut black diamond set in the centre of 1.98 ct. 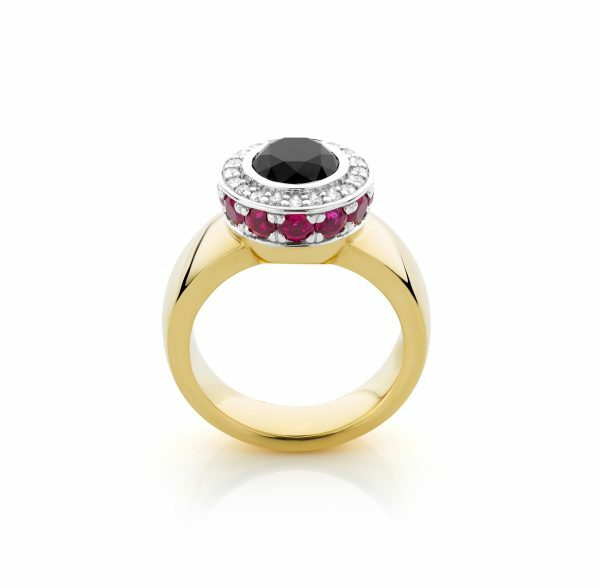 This black diamond has a high head and is surrounded by 20 brilliant cut diamonds E/IF with a total weight of 1.55 ct. On the side of the head you can find 12 brilliant cut rubies with a total weight of 1.77 ct. 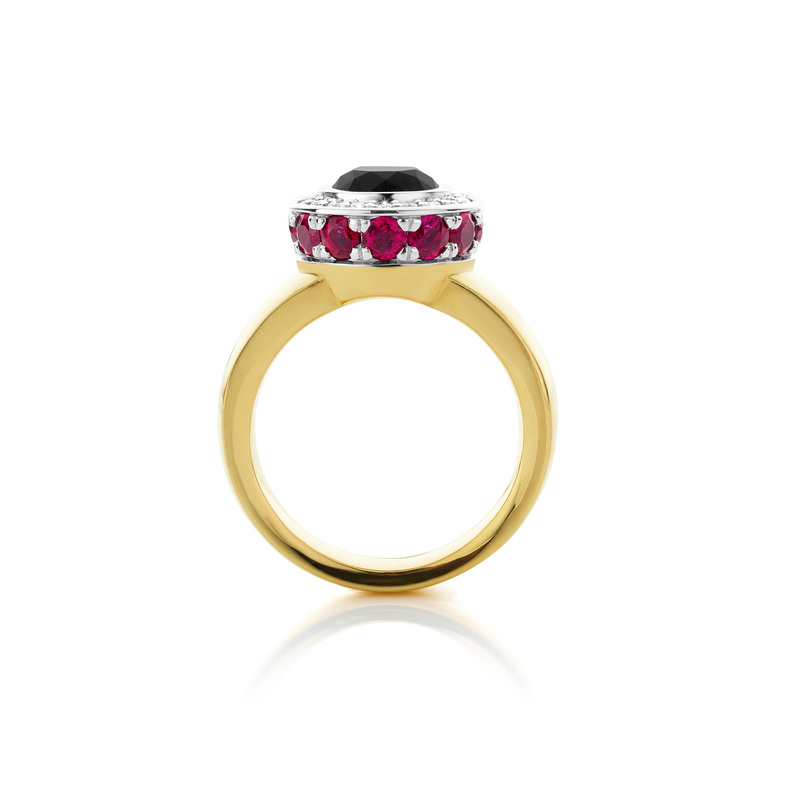 VS.
18 karat yellow gold ring. 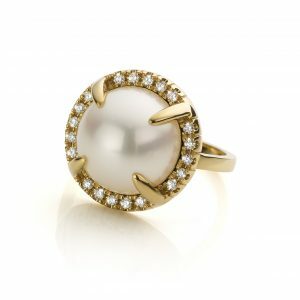 In the centre of the ring you will find a sawn-through Ocean Pearl surrounded by brilliant cut diamonds. 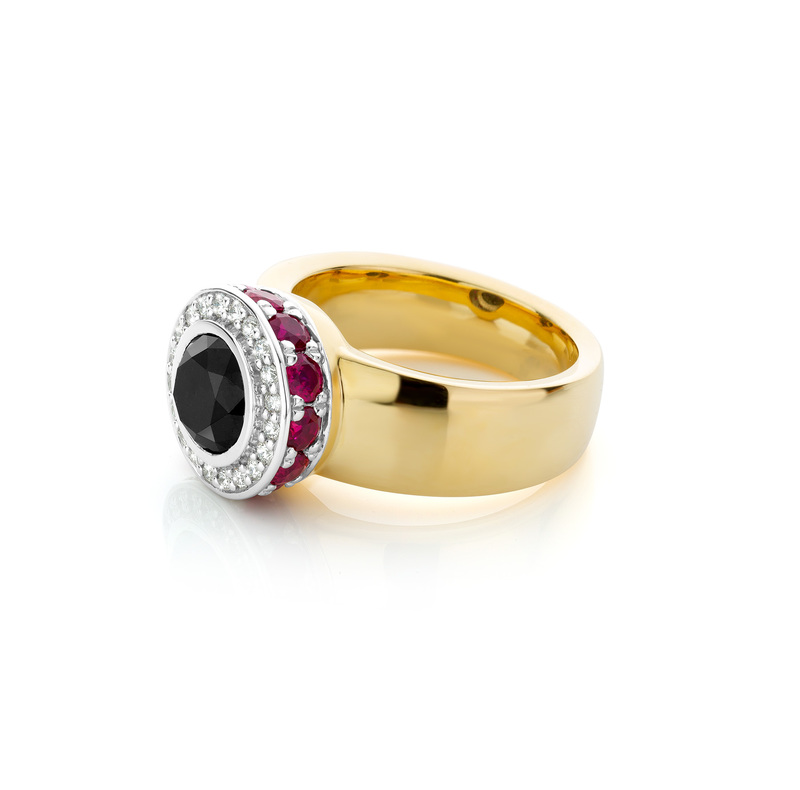 Classic ring made of 18 karat yellow gold. 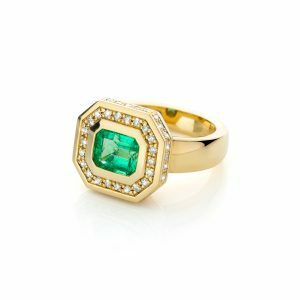 In the middle of the ring you will find an emeraude cut Emerald surrounded by 22 brilliant cut diamonds. 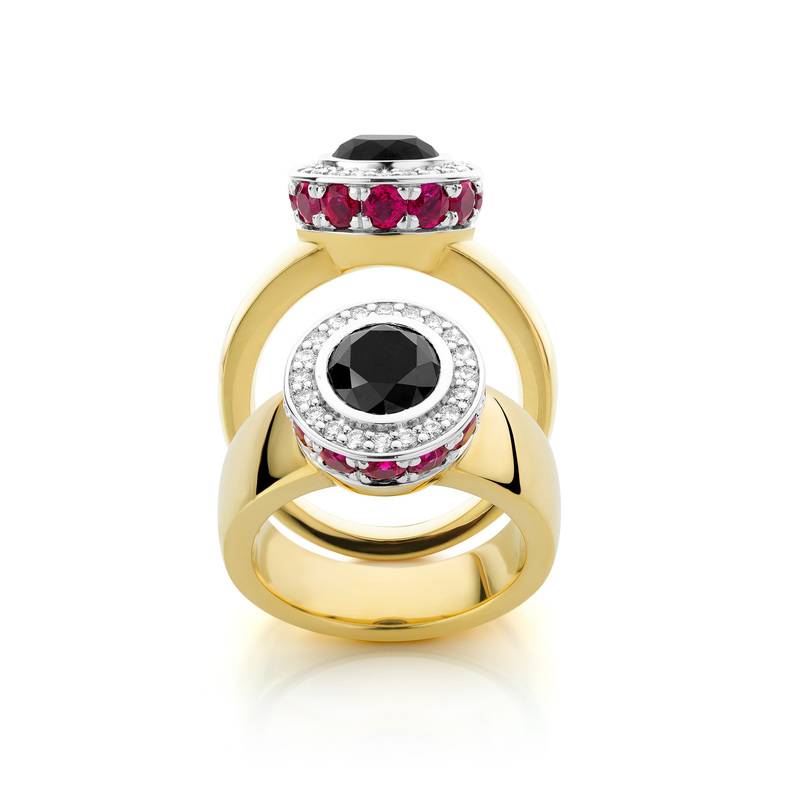 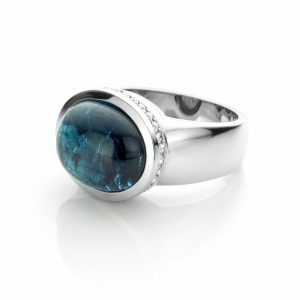 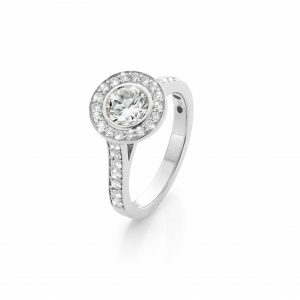 18 karat white gold ring, set with a cabochon indigolite Tourmaline and brilliant cut diamonds of excellent quality.